Affordable airfare is just one of the many reasons to visit this up-and-coming city. Like many of the best things in life, Abbotsford, BC, is full of good surprises. 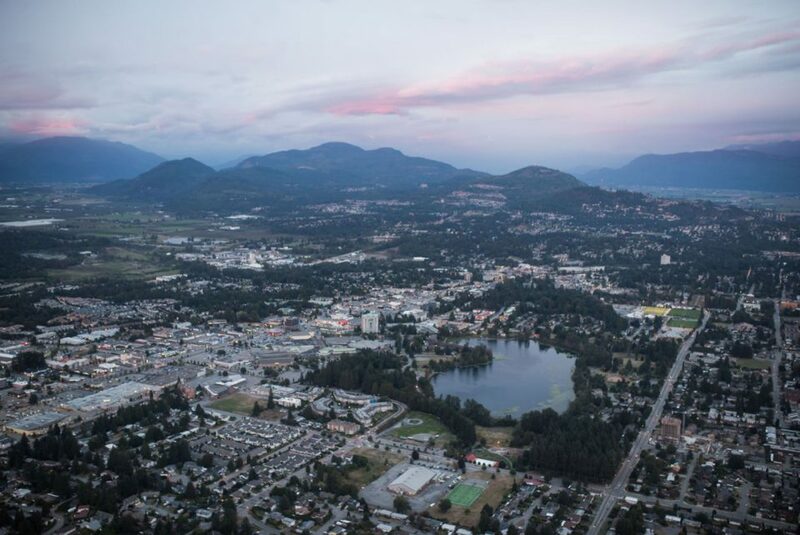 Located in the fertile Fraser Valley, this welcoming city is both a long-time agricultural hub and a destination on the rise, brimming with rich history, a burgeoning culinary scene and lush terrain begging to be explored. Renowned for its bursting berry bushes, Abbotsford has numerous sweet draws – from flourishing U-pick farms to thrilling mountain-bike paths – making it a perfect spot for a weekend escape. The best part is, it’s incredibly affordable to get to Abbotsford from Edmonton, thanks to Swoop, the sleek new cost-saving airline option in Canada. Round-trip flights under $150 depart three times a day to Abbotsford from Edmonton International Airport, making it easier than ever to spend some time in this under-the-radar BC gem. You’ll find all kinds of things to do when you get there, but if you’re looking for suggestions, here’s a loose itinerary for a fun-filled weekend in Abbotsford. Catch an 80-minute Swoop flight into Abbotsford from Edmonton on Friday evening, pick up a rental car, and kick off your weekend stay by settling into the Brookside Inn, just five minutes from the Abbotsford International Airport. This enchanting, six-suite boutique hotel was mindfully designed by its owners to feel like a European Bed & Breakfast, and the decor in each room is inspired by a different classic romantic movie (think Midnight in Paris and The Secret Garden). 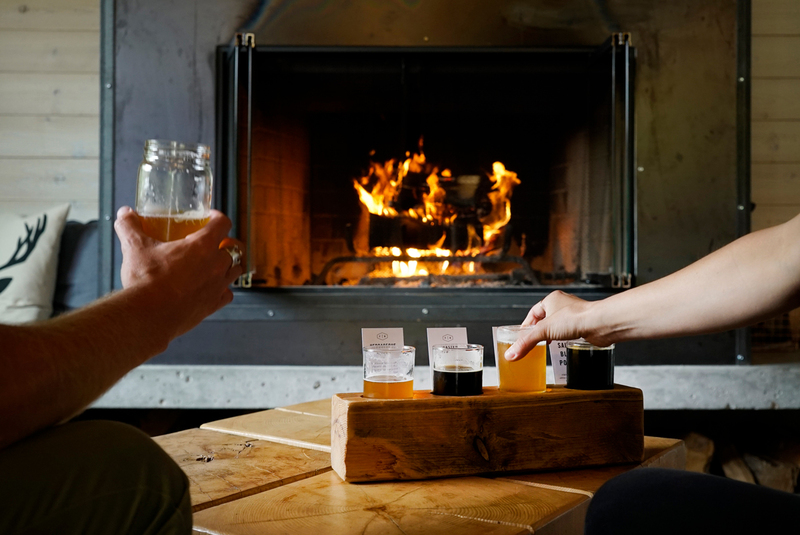 If you’re itching to get your first taste of the city’s offerings, pop in to Field House Brewing, a craft brewery that’s a 15-minute drive away. The vibe here is cozy and relaxed, with patrons lounging happily on the outdoor patio, enjoying the evening beer specials. Feeling hungry? Field House’s Canteen kitchen features hearty, homemade items like tomato soup, duck fat potatoes and spicy mac n cheese. Break your morning fast with a complimentary breakfast at Brookside in the Breakfast at Tiffany’s dining lounge, which offers, among other items, decadent, fluffy pancakes topped with whipped cream and berries ripe from the Abbotsford sun. But don’t linger over breakfast for too long, as you must make your way to the Abbotsford Farm & Country Market, where artists and growers from around town showcase their wares. Every Saturday morning between May and December, you’ll find a friendly mix of city residents and tourists perusing the market’s vendors as local bands play live music in the background. Pick up enough supplies from the market for a picnic, as your next excursion is the Chadsey Lake hiking trail, a 20-minute drive northwest of the city. Park your vehicle at the Sumas Mountain Upper Lot, then take the easy, hour-long hike starting at the midway point of Sumas Mountain. You’ll be rewarded with an impressive view of Chadsey Lake, or what the locals call “Lost Lake” due to its heavily treed surroundings. 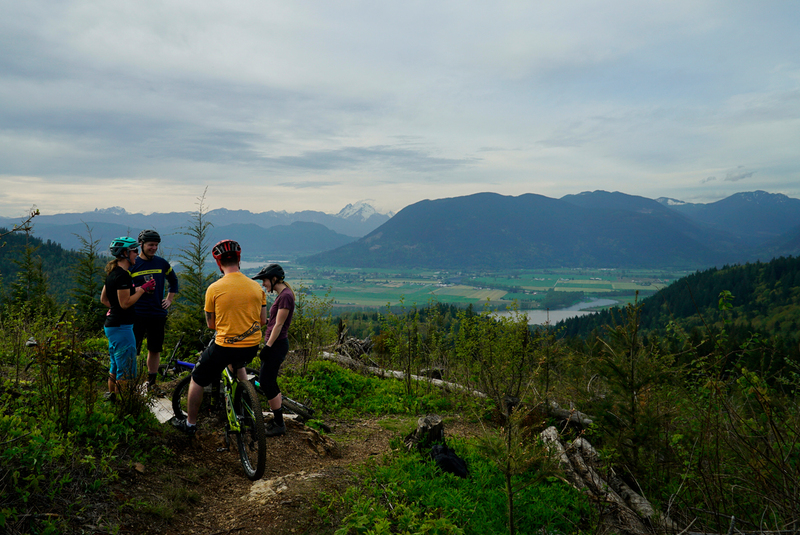 If you’re feeling energized, keep following the trail to the top of Sumas Mountain for an entire view of the valley, or, after lunch, simply head back into Abbotsford and keep exploring. Once back in town, cool off indoors with a visit to The Reach Gallery Museum, where you can learn more about the city’s history through fascinating art exhibits. In the “Voices of the Valley” wing, you’ll discover the rich background of the St:l First Nation – original residents in the Fraser Valley – and the impact on their culture and the region from their interactions with European fur traders in the 1800s. And don’t miss The Reach’s more contemporary exhibits, including “Of The Standard Of Taste,” which showcases kitschy ceramic and scratchboard art reminiscent of old children’s books. From The Reach, you’re minutes from historic downtown Abbotsford, which is full of unique shops and character buildings. Shop at the eclectic Spruce Collective store on Montrose Avenue, which stocks new and vintage home decor and wardrobe treasures hand-selected by their three owners, all Abbotsford locals. When it comes to dining in Abbotsford, the term “10-mile diet” often applies. At many restaurants in the area, almost everything on your plate will likely have been sourced from within a 10-mile range. Establishments like the locally renowned Restaurant 62 are proud to know exactly where their food comes from: their backyards. Eat at Restaurant 62 for exquisitely fresh dishes – try the Ling cod with turmeric cauliflower puree. Afterward, stroll around the surrounding Mill Lake Park. 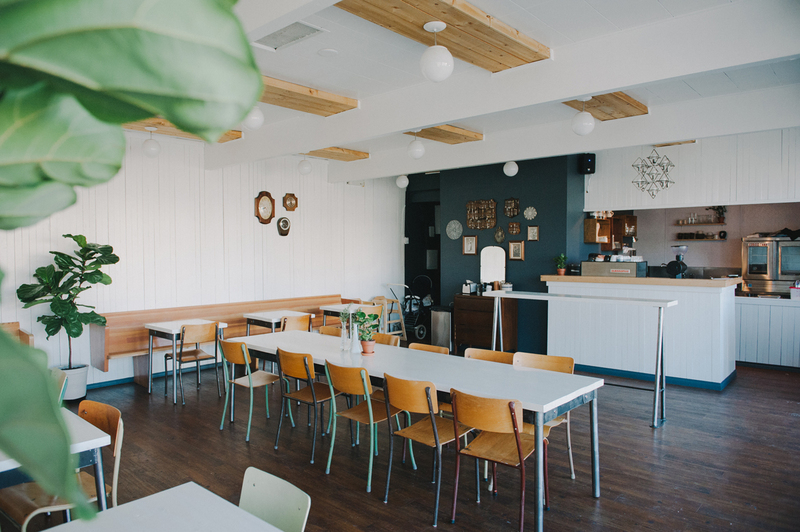 Start your day with a visit to Oldhand Coffee, a family-owned, slow-roast coffee shop nestled in downtown Abbotsford. Enjoy a freshly baked croissant or muffin with your morning jolt of java, then head out on the Circle Farm Tour, a self-guided way to explore some of the standout wineries, farms, dairies and fish hatcheries around Abbotsford. Visit circlefarmtour.com for a free, downloadable map of 19 potential stops. Be sure to make one of those stops Singletree Winery. One of the most decorated wineries in Abbotsford, it is famous for its award-winning white wines, including a light and fruity Grner Veltliner. 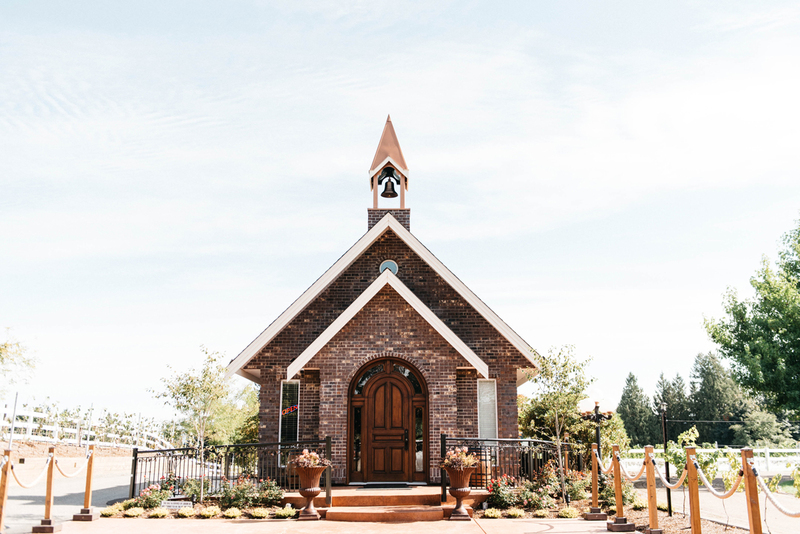 The city’s emerging wine scene deserves further sampling, so head over to Seaside Pearl Farmgate Winery, where the tasting room – located inside a picturesque chapel – offers panoramic views of Mount Baker and the vineyard’s surrounding gardens. No matter which stops along the tour you choose – be it the Applebarn at Taves Family Farms or the Campbell’s Gold Honey Farm & Meadery – make sure to cap off your excursion with a visit to Birchwood Dairy for a gourmet ice cream cone. Once you’re sated with treats from Abbotsford’s rich, natural bounty, catch a return flight home with Swoop – the short trip means you’ll be back in Edmonton with plenty of time to prepare for the week ahead. Just don’t forget to bring home a few edible reminders of your BC stay.